Did you know that the umbrella was invented over 4,000 years ago? 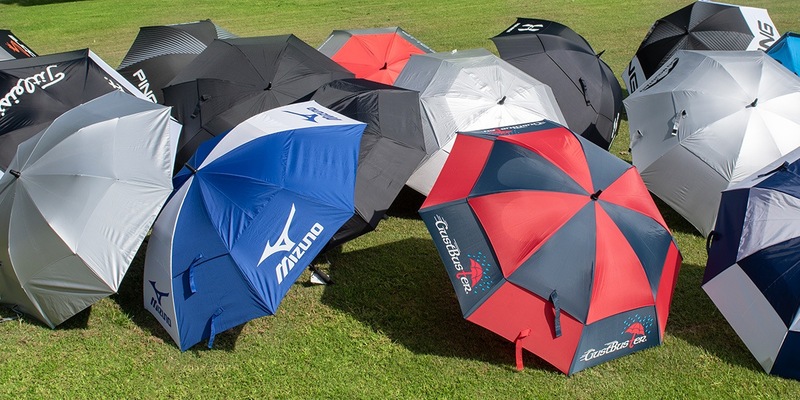 For many golfers, the choice of an umbrella boils down to a favorite club brand or whatever the pro shop has in stock. Little regard is given to the performance of the umbrella. I’d wager that most golfers aren’t aware that there are products out there that can outperform major golf OEM offerings. The thing is, most of the umbrellas on the market today haven’t evolved in decades, perhaps even centuries. How can a product improve if it never changes? Golfers are accustomed to companies to push the envelope, and we’ve set out to figure out if anyone has done that within the umbrella category. Unless you avoid the course entirely when the weather looks dicey the umbrella is an essential piece of equipment. The current market includes umbrellas of all shapes, sizes, and colors. Personalized logo and color options are available as well. 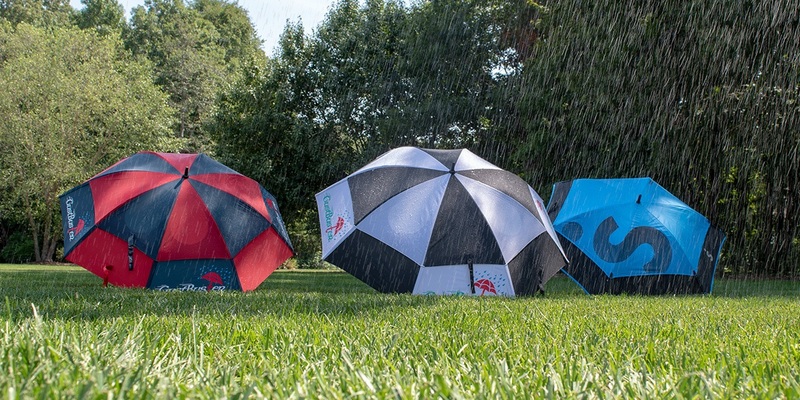 If you’re in need of a sturdy golf umbrella – and that’s most of us – this guide is for you. HANDLE: If you are playing a long round in the wind and rain, you want a comfortable grip. Handles that are unbearably hard and provide no gripping structures are to be avoided. We found that the handles that performed better than others had recessed areas for fingers to wrap and grip and are made out of materials that perform better as conditions get wetter. Ping and Gustbusterare examples of umbrellas that do just that. COVERAGE: When playing in the rain it’s imperative that you stay dry. Umbrellas that are smaller do not provide sufficient coverage. We found that the larger the umbrella is, the better it performed on the golf course. 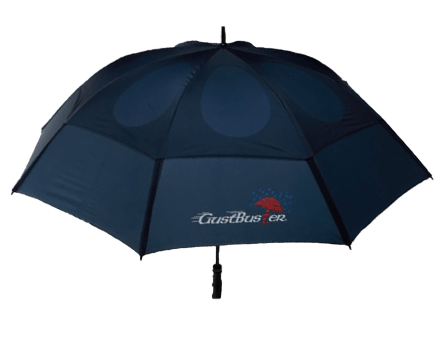 Umbrellas such as Gustbuster and Weatherman are great examples of umbrellas that provide maximum coverage. OPENING SPEED: Getting your umbrella out and fully extended is important when getting caught in a downpour. This means that the faster you can open and get the full coverage, the less you likely you are to get wet and stay wet. The Weatherman and BagBoy are great examples of umbrellas that can be opened quickly. These automatic opening systems limit fumbling and therefore provide better-opening speed to stay dry for longer. DURABILITY: No matter how good the umbrella is, you need it to last for years to come. The best umbrellas last for years in all weather conditions. When testing, we experienced umbrellas that did not fully extend or hyperextended, which will dramatically limit longevity. This is a factor to consider, especially when considering a more expensive option. FEATURES: Does the umbrella offer any noteworthy features beyond rain protection? Weatherman has gone above and beyond in the features section by adding a mesh pocket, towel grip, and Bluetooth connectivity to help locate a misplaced umbrella. For some, this may not entice you, but they exist for those looking for a little something extra. Over the course of the test, we used the same protocol and implemented it to every umbrella. In other categories, we found some umbrellas would leak and therefore get the individual wet. To limit bias, we paid careful attention to the phrasing of the questions as well as the timing of when particular questions were asked. Wind/Water Resistance (30 points) – We put the umbrellas to the test both in our lab and on the course. On the course, the umbrellas were subjected to storms with wind gusts of up to 45 mph and torrential rain. We then put the umbrellas to the test under simulated wind and rain conditions. Poor performers had shafts that bent and canopies that nearly collapsed and let rain in. Top performers didn’t falter with torrential rain and wind speeds approaching 50 mph. Opening Speed (15 points) – How fast does the umbrella open? The opening speed score is a combination of both the velcro straps and opening mechanism. Some umbrellas have automatic opening mechanisms while others are fully manually. Umbrellas without multiple velcro straps were inconvenient to operate. Handle (5 points) – How easy is the handle to hold in both wet and dry conditions? Do you feel like a gust of wind could blow the umbrella out of your hand? Umbrellas that performed well contoured to the hand and maximized grip. Durability (30 points) – Is the umbrella made of high-quality materials? Is the umbrella constructed in a way that limits breakable pieces? Did the umbrella break during any portion of the test? An umbrella isn’t a bank-breaking purchase, but as with anything else, it should last for as long as possible. The best performers durability-wise were incredibly sturdy, and some even boast lifetime warranties. Poor performers were battered around by the wind, while some even broke. Final grades were awarded based on total scores. Best Overall is our highest overall scoring the best golf umbrella, and awards are awarded to the top three umbrellas. In addition, more specific Best in Class recognition’s are awarded to the umbrella in certain categories (like best value) that push the industry envelope. 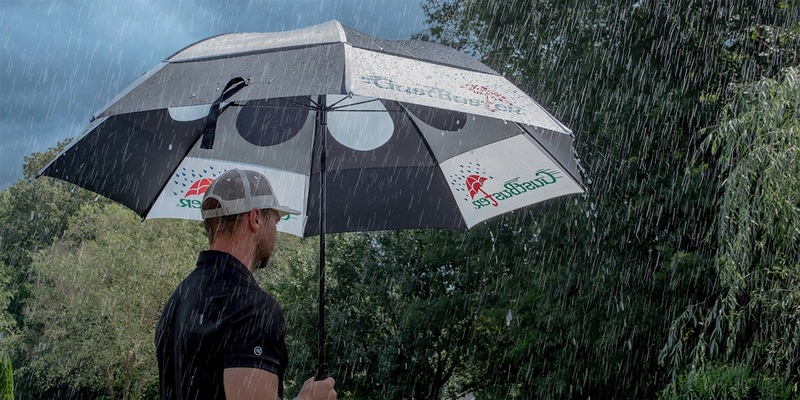 "Best Golf Umbrella of 2018"
The Gustbuster has been crowned “Best Umbrella of 2018” for the second year in a row. The 68-inch canopy is built to handle the toughest of on-course conditions. Although the Gustbuster is fully manual, it opens efficiently. Durability is again the Gustbusters strength as it can withstand winds of more than 55mph. The innovative bungee cord venting system that connects the canopies allows air to pass through the umbrella effectively and without damage. 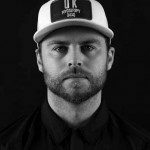 Many of you might not have heard about ShedRain, but it’s time to recognize this up and coming brand. We tested the smaller version of the Vortex and came away impressed. Designers clearly paid attention to every detail necessary to keep you dry and comfortable during the wind and rain. Structural arms are reinforced for greater durability, and the cupped ends prevent them from popping apart in heavy wind out during extreme conditions. Overal, the ShedRain Vortex is a top-performer, which offers a stylish design and multiple color options. The 62-inch model is the little brother of our top-ranked model. It offers all the advantages of the larger version in a more compact design. Despite it’s smaller size, the 62-inch model still provides enough coverage to keep you dry. The 62-inch model is a compelling offerings for golfers seeking a functional and durable umbrella with a more compact design. Weatherman – If you are someone who wants extra features then the Weatherman is the one for you. The 68-inch umbrella boasts the “Best Features of 2018” which include a mesh pocket for your glove, rubber slot for a towel, and Bluetooth connectivity in case you misplace your umbrella. Despite these extras, the Weatherman has its down falls. With heavy rain, there were a few drips of water that came through the seams at the top of the umbrella which resulted in the golfer getting a little wet. Under Armour – This Under Armour umbrella is not only very stylish, but overall it’s a good umbrella. The durable material allows will save money in the long run as you likely won’t need to replace it for quite some time. The double canopy design offers room for improvement. The construction is overly tight and doesn’t allow wind to pass through. LifeTek – For $39.95 the LifeTek golf umbrella offers great value. It works well and is affordably priced. The automatic opening system works brilliantly, allowing you to focus on golf instead of fighting with your umbrella. I just lost my black and yellow cobra double canopy umbrella sleeve and hoping you can tell me where to buy one. Great review as always guys. I know you can’t test every umbrella out there but I did find this one from a company called Procella that I have had for a couple of seasons and this thing has been fantastic. Even better is the price I paid for it, unfortunately I am not currently seeing it on Amazon where I paid less than 30 bucks. But definitely worth looking at for a less expensive alternative that is brute tuff and will keep the rain off. Great review! I hadn’t given much thought to an umbrella but reading this got me to doing some searching. Thanks to this article I have a new logo overrun Gustbuster on the way for only $30 bucks. I won’t know if it’s 62″ or 68″ until it arrives but it’s hard to go wrong either way for that price. Grabbed up a plain black Gustbuster 62″ last season per the 2017 testing MGS did. It is fantastic though I’ve only had to use it once during a cloud dump during a raging t-storm. Glad to see it’s done well here again which validates it’s quality and my purchase. Oh and go-figure you all had the Brit do this testing..! 😛 Totally makes this year’s test accurate as h***! Keep up the great work out there MGS! I thought the Titleist umbrella was made by Gustbusters, so it would have had similar results. The Mizuno result is definitely right, mine broke pretty quick on me. Perfect timing, I actually broke my older titleist umbrella in a recent storm that came through the Massachusetts coast and saw the shedrain at a local shop. I liked it’s design a lot but wondered if it was any good since I’ve never heard it, now I think I’ll head back and pick it up instead of going with another titleist. The shedrain looked better to me and was a bit better priced. Thanks mygolfspy. Thanks! Let us know what you think of the ShedRain. I bought a shedrain. its very well made, works as advertised. only gripe is the weight (heavy) and the sleeve (too small). I agree with the other comments about including information about push cart compatibility and how well the umbrellas do with cooling / sun protection. I don’t remember the last time that I played golf in the rain. I know it hasn’t rained on me this year, but there might have been a few minutes of rain on one of my rounds last year or the year before. I guess it is different in the desert. We do get high temperatures and a lot of sunshine though. Good article, I wasn’t aware of all of these brands. I’m all about the coverage that the umbrella provides. After reading some of the other posts, I’ll also be looking for something more reflective if it will help with the heat. Southern Ontario gets so hot, it would be nice to be a bit cooler! Who picked the name for ShedRain? I spent the first 90% of the article looking at the name in all caps and wondered why someone would name an umbrella the She-Drain? Sounds like a great product but the name did make me laugh quite a bit. I would like to add my name to those that would like a test of umbrellas on push carts. I have an old TaylorMade, probably 12 years old. I haven’t worn it out yet, because I rarely use it when raining; I live in the desert. It’s sunny and windy. My concern is how new umbrellas fit in push cart holders. I had to wrap tape around the handle to make it big enough to not wobble in the holder. Umbrellas could be a little taller too. Are there differences in umbrella height or are they all the same? Thanks that is very timely and helpful. We have had so much rain here in Northern Virginia. Even my always dry Zero Restriction Gortex needed help and two of the three umbrellas I had were destroyed by the storms and the third sucked so bad I couldn’t be bothered and dunked it in a trash bin. I got them all for free from my liquor reps or I’d be pissed. It would be great to see reviews of waterproof pants, vests, short sleeve, long sleeve and club covers. Price isn’t a factor for MyGolfSpy? Unfortunately, it is for many of us. Based on MGS 2017 results, I found a 68″ Gustbuster for $30 on eBay. It was brand new. The only risk is that the seller had a stock of logo overruns. I ended up with a PXG/Vanderbilt logo in black. What you also would want to include is a sun protection metric. It’s not just coverage, it’s also how much heat gets through for the heat stress factor. Maybe it’s not a big thing in NA, but in AUS it is. Could also suggest a snake killing metric? The snake wedge only bludgeons. Can you publish the weights for all the umbrellas tested ? Can make quite a difference when you’re carrying … thanks. Are you aware of golf umbrellas with a longer shaft for taller golfers and for use on a push cart? I use a silver reflective umbrella on my push cart every sunny day (it also works in the rain) but it’s wearing out. Definitely cooler under my umbrella than the non reflective kind that other people use. Need a testing category for that next time. Umbrellas? Did you run out of clubs and balls to analyze? AM I the only one who would be interested to see golf ball brands tested for roundness? Or a spin comparison of all golf balls? Where’s this year’s driver CG report? Look, I dont have a golf website of my own, so I shouldnt throw stones. The content of this site is really great. But man, it is released so slowly. And when it is, you often get stuff like umbrella reviews or new release announcements. Im losing interest over here. I guess the point is that this is an awesome site, but it could be so much better! Thanks for the comment and glad you think our content is “great”! 1. Our content is different and it sounds like you noticed. The most likely reason you think the content is great on MGS is probably because of how much effort and thought goes into the content produced on MyGolfSpy. What you are probably noticing is that we don’t BS, we tell you how products actually perform. We also test in a much more comprehensive way vs the other media outlets you probably read in the golf space. We chose to go a different route. We prefer to put the consumer first and not the ad dollar. Part of what that means and the result looks like is not half assing it just so we can pump yet another review or article out everyday to either satisfy an advertiser, get a click or get a view on YouTube. We would rather do less great work than lots of…well…not so great work. That being said we understand that the consumer of information nowadays can in almost an instant be swept away to multiple different sites that will give you what it sounds like you want. That is lots of work that at the end of the day often times does more of a disservice to the consumer, misleads them more and makes them less happy about the ultimate decisions they make based on the content produced. If that is what you still prefer after reading this response I would suggest maybe finding a different source for your golf gear testing. Because at the end of the day we will never sacrifice doing it right for just getting something done quickly. 2. We try and test ALL the products that golfers might buy. And believe it or not men buy a fair amount of golf umbrellas. So, if a golfer spends his hard earned money on an item you can bet we want to be able to test it for him/her and let him know which products he can trust. 3. Last I heard the CG report was nearly complete. Once again these tests aren’t ones that are done or rushed for clicks or views. They are to be done correctly, and when they are we pass that info along for FREE to all golfers to consume. It is also very unique content because up until this point we haven’t seen any proof that any one other than MGS has seen benefit to provide it to golfers. We aren’t looking for a thank you, but it is also hard to understand the logic behind the entitlement some spew regarding the free content uniquely provided here on MyGolfSpy. 4. Regarding ball tests well that is a tougher nut to crack. For the most part what you see people doing is not the right way to be doing it. So, once again rather than just do it because others are for clicks or views, we prefer not to mislead and rather to wait until we know what we are providing is accurate information and not misleading more than it is helping. This section is called BUYERS GUIDES. This is where we test all soft goods, which means there are no hard goods/balls being tested in this section. We pride ourselves on being the worlds most extensive golf reviews within golf and unfortunately recording 10,000+ shots per test takes time. We will NOT just test 5 shots and give a review because that has been proven to NOT be effective. We are here for you (the consumer) to make a better purchase whenever you buy something golf related. Great things take time and good things come to those who wait. I totally love this! I had never given a second thought to the umbrella that I carry with me. Usually I get them on clearance or just grab a new one when a seam breaks or it comes loose from an end. I agree that for the most part, I use them during the winter months to keep dry, but those handy cart attachments make it easy to have it up for shade during the summer as well. Excellent job guys! Really glad you liked this one! Let us know if there is anything else you would like to see. There are a couple of umbrellas that nearly made the number 1 spot if it wasn’t for a few flaws within their products. Weatherman is a great umbrella but could not win due to the seams leaking when raining. 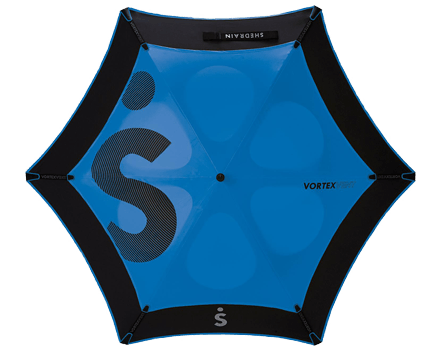 ShedRain Vortex is a great umbrella too but it was a little small and therefore lost points in the coverage category. If it was bigger, it could have take the number 1 spot along with weatherman. A lot of kids use umbrellas during summer months. UV Protection should have been considered more in the rankings. I agree. I use my umbrella rain or shine (especially shine). I’d like to know how it does with UV protection. I also always have it strapped to my clic gear 3.5+ sobi’m Like to know if the handle is compatible for push carts. But overall nice job guys. All umbrellas will block UV. In fact, if all you cared about was blocking UV, a sheet of glass you can see through would do the trick. Reflective umbrella’s would be more helpful because instead of absorbing the light and creating heat, they reflect the light away. Supposedly, this can lower the temp under the umbrella by 15 degrees. Glass only blocks certain UV rays. If you’re talking normal glass, it only blocks the good UV spectrum which lets you generate vitamin D and lets through the bad ones that are generally regarded as responsible for cancer. This used to be the case with sunscreens also. Part of the reason why dermatologists, et al have scared people to death of the sunlight you need to be healthy. I never wear sunscreen unless I think I have a chance of getting burnt and even then I will usually opt to cover up or get in some shade. I live in Florida and play golf at least once a week in the sun too. I’m not exactly fair skinned though. My wife and one of the kids definitely need to cover up or use sunscreen if they’re going to be out all day. That said the heat for some and mainly the downpours are the reasons I carry umbrellas here in FL. Great info CC, I was not aware all umbrellas reflect UV. I wish the buyers guide also included reflective umbrellas as well, as I walk 99% of the time in the hot sun and sometimes in 90° + weather it can get scorching hot, so having it 15° cooler would definitely be a big help. As always great job MGS! 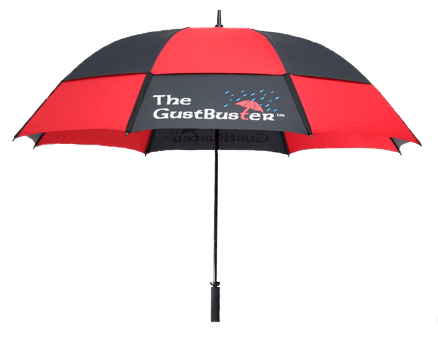 The GustBuster seems to be a winner here with performance and price, if they had reflective umbrellas they’d certainly be my next umbrella for sure. Hey 808. Just to clarify, colored umbrella’s absorb the UV rays, they don’t necessarily reflect. I was just trying to make a point that UV is not responsible for you getting hot. You get hot because you and your clothing absorb all of the colors of light from the sun.We all learn in school that black absorbs all the colors (why it looks black). Well that light energy needs to go somewhere and it gets released to you as heat. White reflects colors so no absorption of light means no release of energy as heat. The best umbrella in terms of keeping cool would have a highly reflective cooling.